We brought Smokey home to our flock in Seattle's Ballard neighborhood. 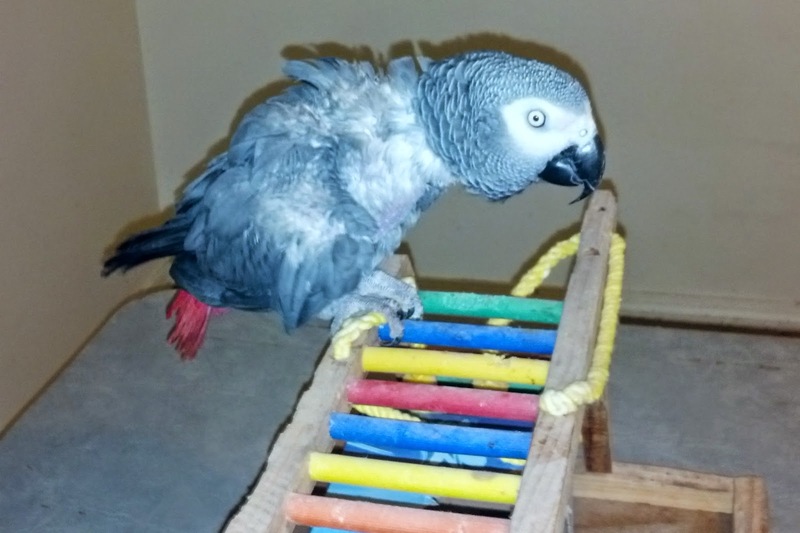 Smokey is a male Congo African Grey parrot believed to be about 25 years old. His previous owner was his third owner. Smokey was with his second owner for only six months. Smokey is a vocal fellow. He says hello, bye, come here, Hi Smoke. 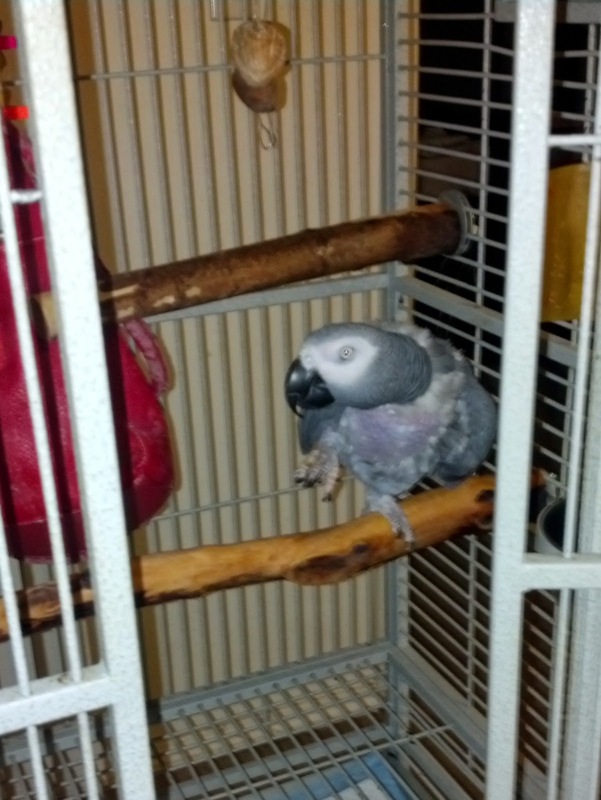 And he makes all the usual African Grey parrot noises such as the phone ringing. Apparently Smokey had plucking issues prior to his third home but according to his previous owner the plucking has stopped. We are told that Smokey has a preference for women. Smokey seems to have a healthy appetite. As far as we can tell his diet seemed to revolve around Zupreem pellets, peanut butter cookies, and grapes. We don't know when he last had a nut to eat, but he loves almonds. 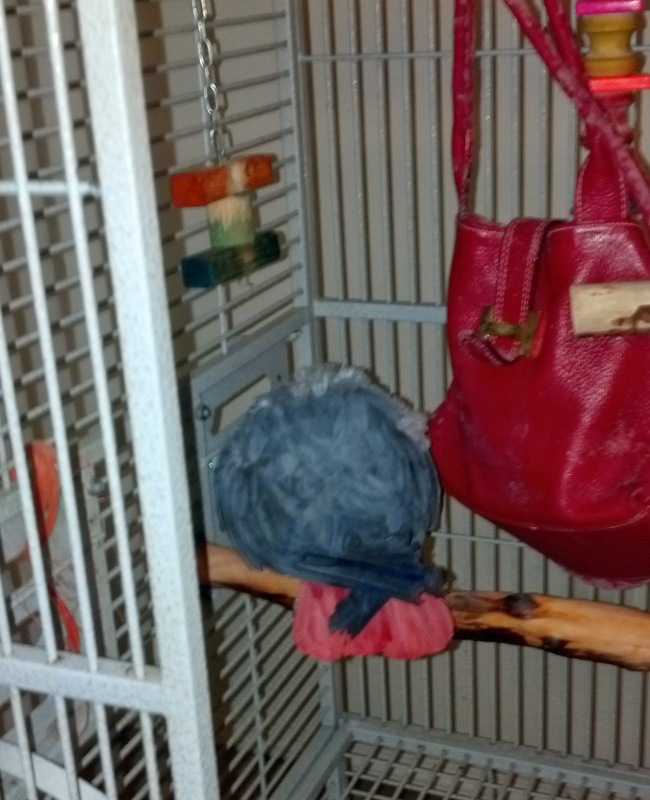 After a day with our flock he hasn't yet ventured out of his cage, even though we leave the door open. He still needs time to adjust to his changed environment. 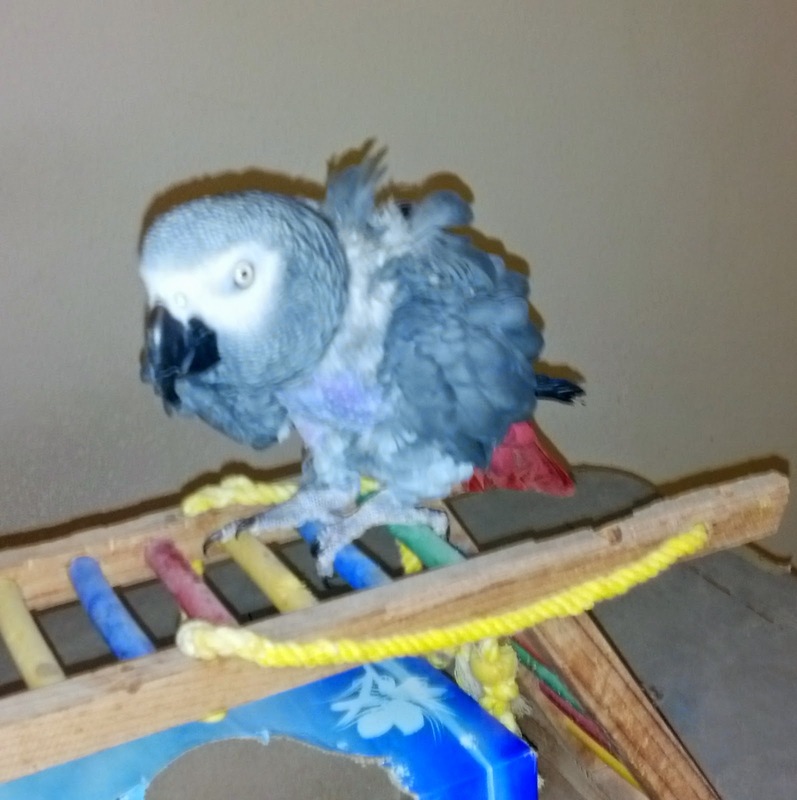 Anyone here in the Seattle area with African Grey parrot experience interested in adopting Smokey please contact Northwest Parrots Fund, a 501(c)3 nonprofit charity registered in the State of Washington.